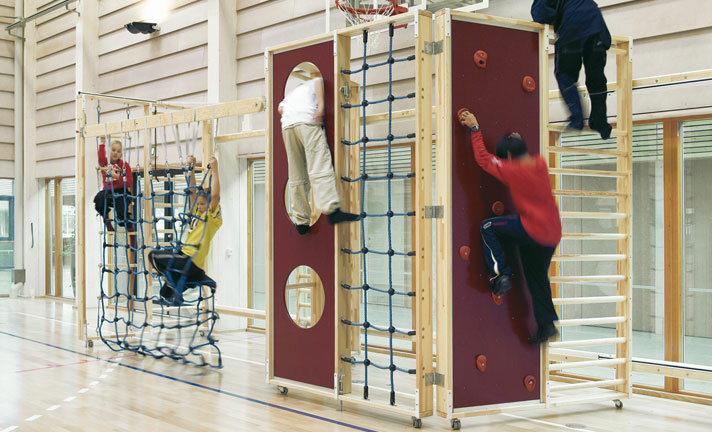 Create climbing combinations beyond the ordinary with our modular Borgen Climbing System. Easy to fold in and out. Projects out the same distance as a standard set of Wall Bars. Can be combined with other Borgen modules. Several modules can also be used when stored against the wall. Can easily be combined with various linking equipment and other apparatus. Quick and easy to install, even in older gymnasiums. Below are the various climbing modules that are available for use with the Borgen Climbing System. Height: 2700mm with wheels. Width: 1530mm. Bespoke heights available upon request. Please contact us to discuss your requirements. 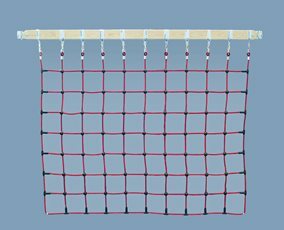 The Borgen Climbing System can also be supplied with a range of accessories and linking apparatus. Fastens to the Linking Beam. 2000mm x 2750mm. Standard colour: Blue.